Since 1993, NaturalCare manufactures and formulates dietary supplements and homeopathic solutions that combine science with tradition to support your overall health. Its homeopathy products conform to the U.S. Homeopathic Pharmacopoeia, making it easy to determine how you can benefit. In addition, every NaturalCare product has been developed to ensure safety and effectiveness; at the same time, the packaging comes with a Consumer Guide that educates and informs. Their most popular products include Vein-Gard, RingStop, AirDefense Nasal Mist, and Reflux-Away; all NaturalCare supplements contain natural herbs and nutrients to help you look and feel better through regular self-care. 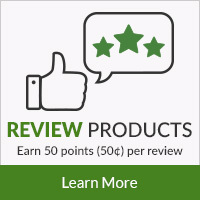 PureFormulas is proud to offer a wide selection of NaturalCare products.